Life After Baseball: Friday Favorites...American Hustle! 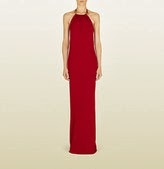 This Gucci number would be my choice if I was heading to the Oscars this year. 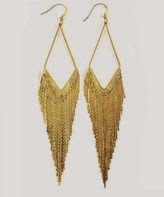 These fringe earrings would be a perfect match with this dress. Can you believe they are $22? That's what I call Style for a Steal! Oh the earrings and coat are must haves! Excited for tonight! I have not seen American Hustle yet but really want to! I love the fashion and decor of that era.